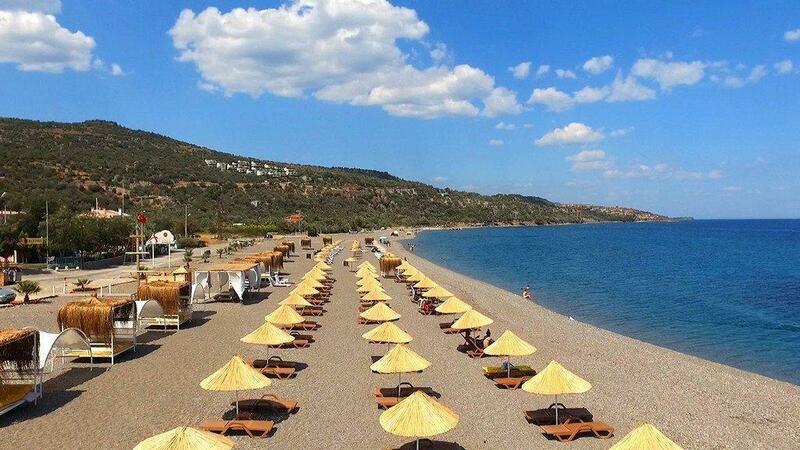 The beautiful beaches on the Western and Southern coasts of Turkey are flooded with tourists in the summer. 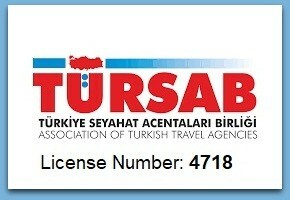 Blue Flag beaches in Turkey attract visitors from abroad as well as citizens from all around Turkey. 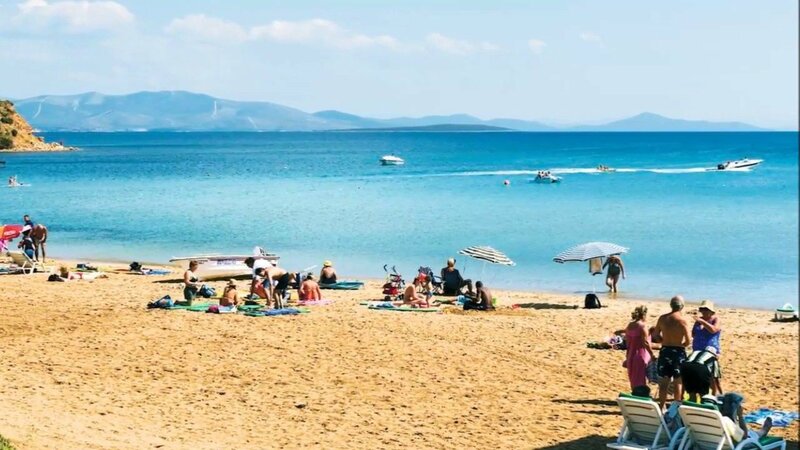 The pureness of beaches and the quality of facilities in the Aegean and Mediterranean region are high enough to compete with the tourism giants like France and Spain in Europe. Additionally, the fact that Turkish Lira is weak compared to Euro is another reason why Europeans choose Turkey for summer vacation. These beaches we’ve mentioned are located in ancient cities or nearby them. This feature of best beaches in Turkey enable visitors to enjoy both the sea, sun, sand and culture tourism at the same time. Some of the beaches on our list offer a poetic atmosphere thanks to their historical features and all of them can be called a hidden heaven. I hope you enjoy the article! The places we’ve listed above are the most famous beaches that stand out with their amazingly beautiful beaches. However, the beaches in Turkey are not limited to these ones. There are many other beautiful beaches you can discover in Turkey. Let’s have a look at the features of Best Beaches in Turkey that make them unique and special. Butterfly Valley is surrounded by high cliffs and it is protected by nature itself. Butterfly Valley is named after a hundred different butterfly species that live in the area. This secret heaven is the place of freedom and nature where individual visitors frequently choose. It’s impossible to go to Butterfly Valley by land. Therefore, the sea is your only option. For example, you can reach Butterfly Valley by a boat from the Oludeniz. However, there are other options for the ones who can climb. If you are an adventurer, you can climb down the rocks and reach the valley. The time stops at Butterfly Valley where everything is slow-paced and you can escape from technology here. It’s one of the unique places where you can just feel and observe the beauty of nature. You can choose to stay in a tent, wooden house, or a bungalow at Butterfly Valley and experience a whole new world here. If you wish to take a flight from Istanbul, you can choose Dalaman Airport as the closest airport to Butterfly Valley. Famous historian Strabon once said, “God sent his beloved creatures to Datca for them to live longer.” about Datca where the Aegean and Mediterranean region meet. There are three bays in Datca at Mesudiye village. The most beautiful of these bays is definitely Ovabuku. The other two bays are Hayitbuku and Palamutbuku. There are a lot of cute hostels and nice houses with a garden in the area for accommodation. Ovabuku stands out as one of the best beaches in Turkey as it’s still untouched and it’s where you can completely experience a village life. The closest airport to Ovabuku is Dalaman Airport. It is usually hard to get to beautiful places and the same rule applies to Ovabuku too. The road to Ovabuku is a little rough and long. Maybe that’s why it’s not so busy. Therefore, you can enjoy the blue and clear water on this beach and have a peaceful and slow-paced holiday. Patara Beach is one of the few places where Caretta caretta lay their eggs. Therefore, numerous documentaries are shot here. It’s also the longest beach in Turkey (18 km) and a beautiful one too. Moreover, the remnants of the Temple of Apollo is close to Patara Beach too. 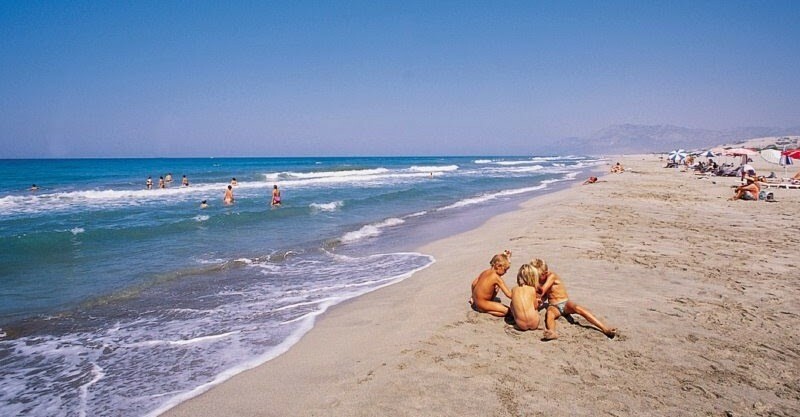 Patara Beach is also known as the birthplace of St. Nicholas, namely Santa Claus. If you wish to visit the church dedicated to Santa Claus, you can go to St. Nicholas Church at Demre. Gokova Bay looks like a tropical island where the forest and the sea meet among the mountains. The sea starts where the forest ends in this bay. Moreover, the water that falls from the hills makes this place even more beautiful. You can find beaches at Akbuk Beach where you can watch the forests while you swim. This bay also boasts camping sites to set up tents or bring your caravan. If you wish to stay at a hotel, there are also numerous options. You will be amazed by the pureness of the sea at Akbuk Bay, which is one of the most special beaches among the ones in the Aegean region. Akbuk Bay is located in the north of Gokova Gulf. The bay is 50 km from Mugla, 60 km from Bodrum and 70 km from Milas Airport. You can easily reach Akbuk Bay by land. 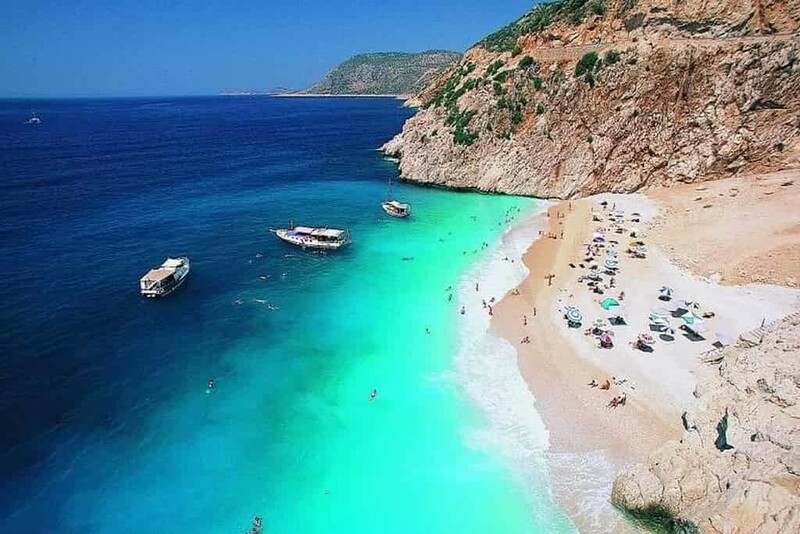 In addition to being a beautiful beach, the Oludeniz Beach (also known as Dead Sea) is important to sustain the variety of creatures that live in it. The Oludeniz is a world-famous beach in Turkey and it offers visitors the chance to swim among giant turtles and other sea creatures. 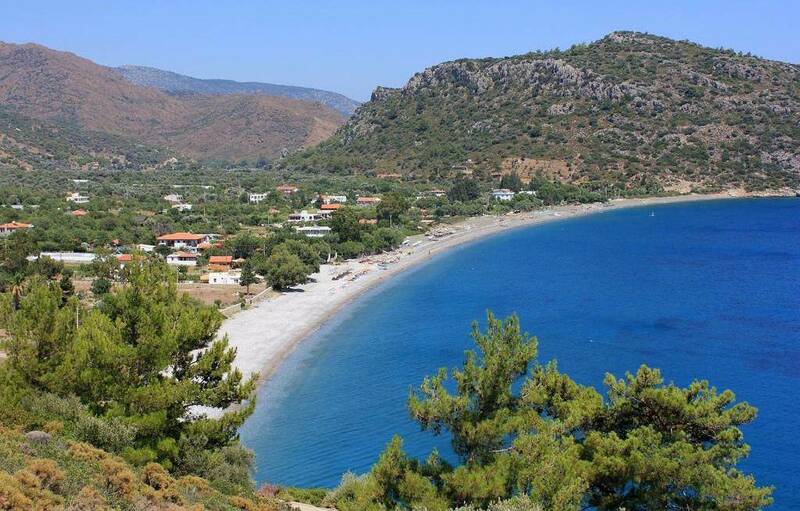 Oludeniz Beach justifies its name with its still and windless beach. Moreover, it’s an amazing place to take photos like Belcekiz Beach, the neighboring beach of the Oludeniz . Oludeniz and Belcekiz are located on the skirt of a hill named Babadag. This area is also suitable for paragliding. You can see hundreds of other adventurists while you paraglide. When all its features are considered, amazing options wait for photographers. 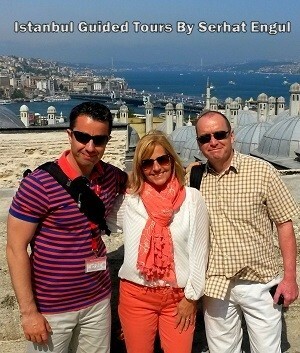 Therefore, we formerly mentioned this area in our former post titled Most Photographed Places in Turkey. The closest airport to reach the Oludeniz from Istanbul is Dalaman Airport. Kaputas Beach is nature’s wonder which is located between Kalkan and Kas. It’s seven kilometers from Kalkan and this area is populated mostly by the British. As the beach is below the road level, you can only reach the beach by walking. Even though it’s challenging to reach the beach, you will realize it’s worth it. Kaputas is not only on the list of Turkey’s best beaches but also among the best ones in the world thanks to its turquoise blue sea. As there is no café or restaurant in the area, it will be a good idea to bring your food to Kaputas Beach. You should also note that all the beaches in Kalkan Bay are Blue Flag ones. The closest airport to Kaputas Beach is Dalaman Airport. Cirali Beach is a Blue Flag beach located in Olympos and it’s truly unique. After you pass by the museum entrance point, you can reach the beach after a 10-minute walk among the remnants of the ancient city. Cirali has cool water as the water from river beds make the water at Cirali deeper. Therefore, it offers both a historical and natural atmosphere. You should note that the sea here is a little stony and sandy. As there are no facilities nearby, you should bring your towels with you. Cirali is a first-degree protected area and you can find small hostels, tree houses or bungalows are being built in the area. The closest airport to Cirali is Antalya Airport. It’s believed that this mineral water helps in treating rheumatism, dermatological disorders, rachitic, liver, and urinary tract related problems. The closest airport to the area is Adnan Menderes Airport that is 96 km from Ilica Beach. Iztuzu Beach is nearby Dalyan in Mugla and it boasts a 4.5 km long beach. The beach is nature’s wonder as it is between the salty water of the sea and soft water. As it is also the biggest egg laying spot of Caretta caretta in Turkey, it’s known as “Turtle Beach” too. You should note that the beach is closed between 20:00 to 08:00 in order not to disturb the turtles. You can reach Iztuzu Beach via Dalaman Airport. Dalaman – Dalyan route takes 20-25 minutes by car. Iztuzu is definitely one of the Best Beaches in Turkey. Amos Bay derives its name from the word Amos in the Hellenic language, which means “Temple of Gods”. You can find the remnants from the Roman Empire era. It also offers its visitors an amazing beach inside the forest. 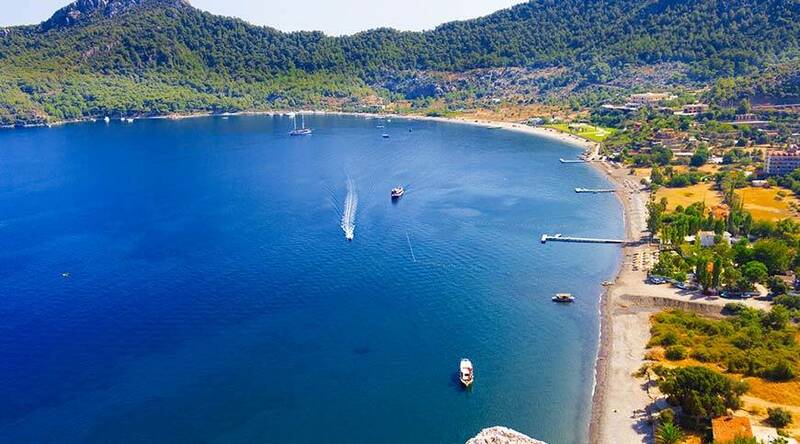 Amos Beach is 25 km from Marmaris and it attracts visitors from all around the world due to both its natural beauty and its feature as an ancient city. When the beauty of the sea meets the perfectly preserved theatre, cistern, temple and monuments, a fairy tale atmosphere is the only thing you can expect at Amos. Dalaman Airport is the closest airport to Amos and it’s 90 km from the area. 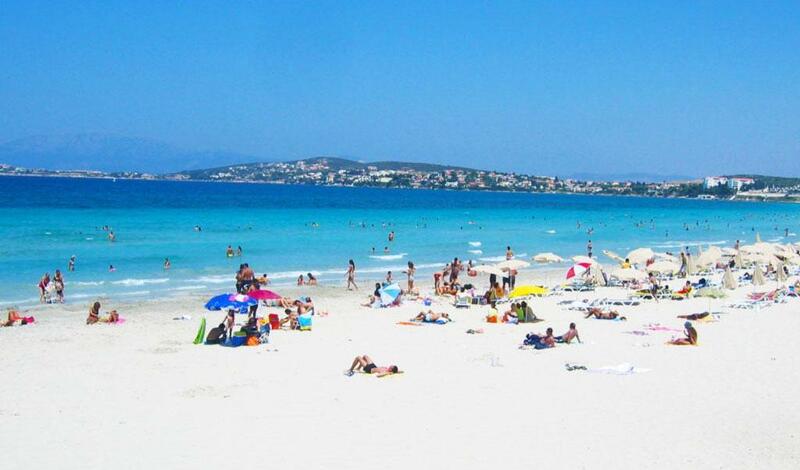 Altinkum Beach is the most famous beach in Didim and it’s named after its golden color sand. (Altinkum is translated into Turkish as golden sand) There are numerous beautiful beaches in Didim, which is one of the districts of Aydin. However, Altinkum is by far the most popular beach compared to others. As Altinkum Beach attracts people like a magnet in the summer, there are all sorts of social facilities that one may need. Restaurants, cafes, and bars along the coast make it possible to spend a good time all day long. There is a beach named Kleopatra Beach, unique beach due to its special sand, on the island known as Sedir Island in Turkey. You can reach this beach only by boat. Incekum, on the other hand, is the neighboring beach of Kleopatra Beach. Its sea is pure and clean like an aquarium. The base of the sea is sandy too. 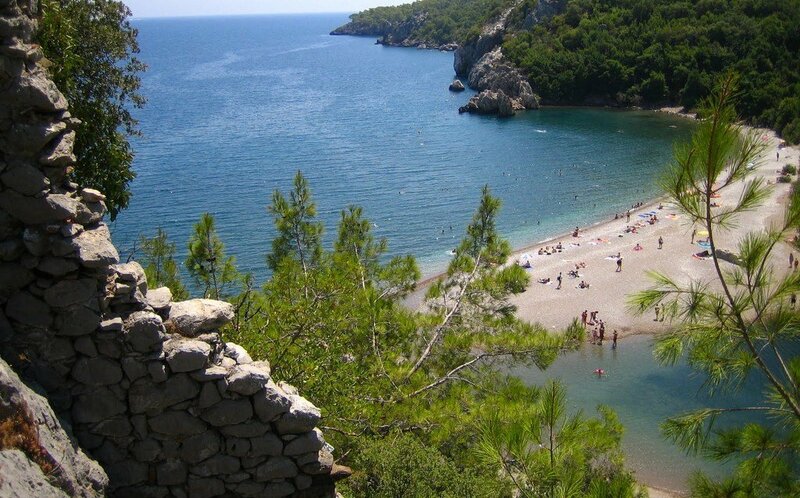 Therefore, it’s regarded as one of the best beaches to swim in Turkey. Moreover, you can find a facility that provides food, drinks, sunbeds, and cabins. You can reach Incekum from Camlica village in Marmaris by a minibus. And Dalaman Airport is the closest airport to Marmaris. Ayvalik is one of the most popular destinations among Turkish people who want to buy a summer house in Turkey. There are many accommodation options in Ayvalik and it’s highly popular in the summer. Thanks to the highway which is under construction from Istanbul to Izmir and Osmangazi Bridge, the distance between Ayvalik and Istanbul has dramatically dropped. 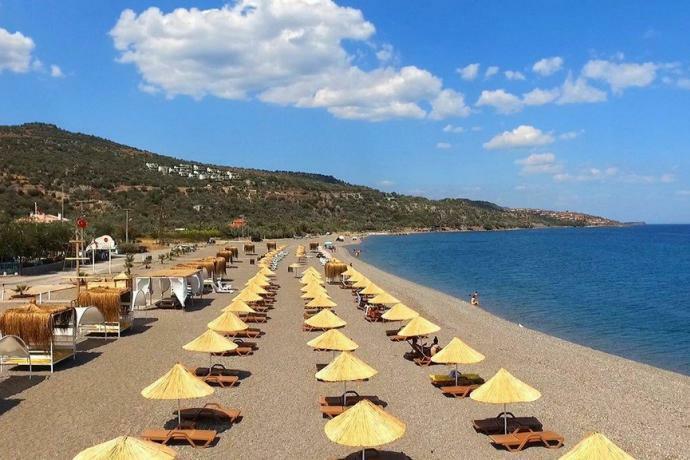 Sarimsakli Beach is the most beautiful beach in Ayvalik thanks to its pure water and fine sand. All sorts of facilities to dine and swim can be easily found at Sarimsakli Beach. The water at Sarimsakli Beach is really cool. The water here is not warm even in July, so you can enjoy the cool sea after walking on a burning sand. Canakkale is a vacation spot that stands out because of a few reasons. The first one of these is it is home to Assos Ancient City and the magnificent Temple of Athens inside Assos. The second reason is Troy, where the epic Iliad of Homer took place, is in Canakkale too. After you visit these ancient cities, Kadirga Bay is the best option to cool off and spend a good time as it’s nearby these ancient cities. 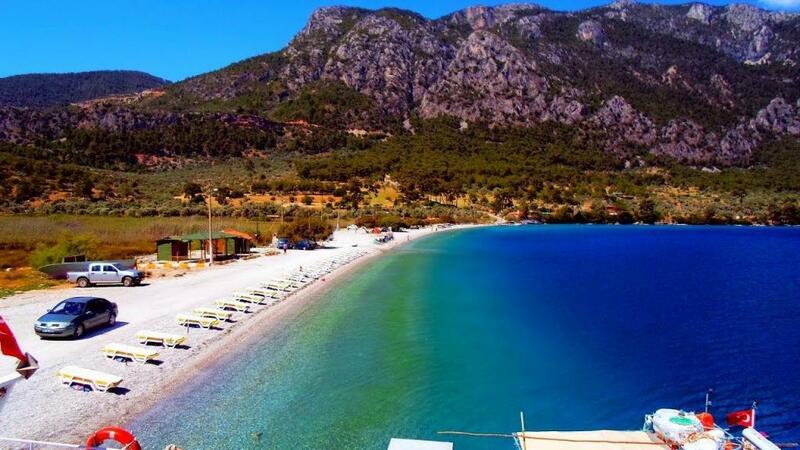 Kadirga Bay is one of the beaches in the north of Turkey with its long and wide stony beach and its clear water that is worthy of its Blue Flag title. You can find facilities on the beach and accommodation options that are affordable for everyone. You should remember that the region is a little windy and the sea water is cool here. Bodrum attracts attention as the most popular holiday spot in Turkey. The best facilities and most beautiful bays in Turkey are located in Bodrum. It’s also a cruise ship port. Therefore, it houses millions of people every year. Every bay in Bodrum is different in its own way. In fact, Gumusluk is not the best bay in Bodrum. However, Gumusluk Bay comes forward when you consider how calm and untouched it is. 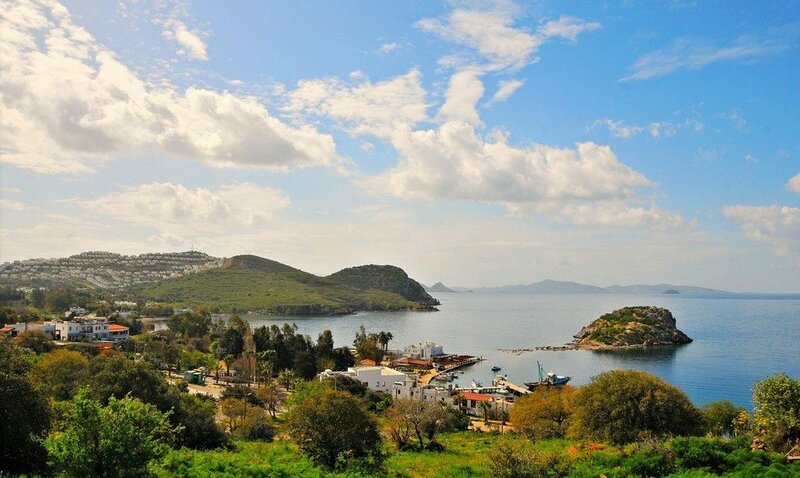 Gumusluk is a safe harbor if you like Bodrum but want to stay away from the noisy atmosphere it creates. It’s where live music instead of beach music is played and life in this town is more slow-paced than its counterparts in the region. You can also walk to Rabbit Island on the stony road built in the Ancient Age. The Rabbit Island can be seen from the shore and you can walk to the island by walking in the middle of the sea. It’s also a fishing town where you can sit at the tables in the sea and put your feet in the water while you drink raki and enjoy your fish. If you still choose to get out of the calm atmosphere of Gumusluk, you can join the vibrant and active nightlife of Bodrum by a short drive.